Motogear | MotoGP Argentina: Winning Streak Continues for Danny Kent! 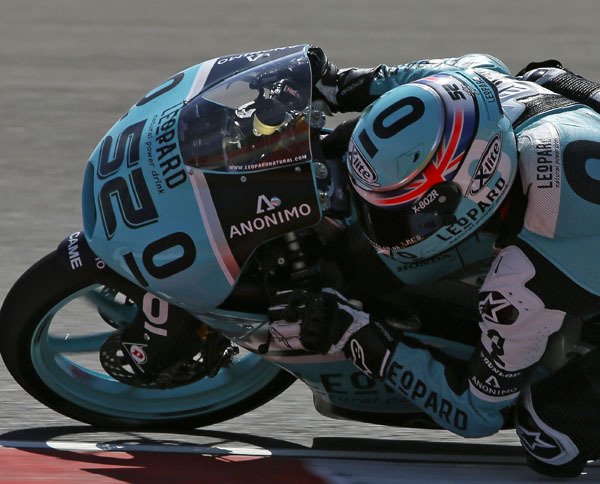 22 Apr MotoGP Argentina: Winning Streak Continues for Danny Kent! After the victory in the United States Danny Kent, with a superlative race, lead once again and ended top of the podium. A really astonishing beginning to the season. Good results for Enea Bastianini, who despite the low speed of his bike conquered the ninth place in a very close race. Well done in MotoGP for Danilo Petrucci 11th, Bradl 15th an Melandri 20th. Kent is leading the Moto3 Championship with Bastianini third. The next race is the 3rd May in Jerez. Danny Kent, Enea Bastianini, Danilo Petrucci, Stefan Bradl and Marco Melandri all wear the X-lite X-802R.